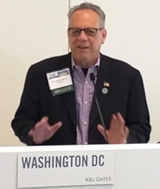 We are excited to announce the NanoBusiness Commercialization Association’s(NanoBCA) return to Washington DC for our 18th Annual NanoBusiness Conference! This year’s event will feature experts from private industry, representatives from government agencies, and public policy leaders who will address the opportunities and challenges in the ongoing commercialization of nanotechnology-based products and nanomaterials. It has been an honor to serve this unique scientific and engineering community since its inception 18 years ago. It has been a labor of love to see our community continue to grow, with organizations that had no employees 10 years ago expand to have 100 employees today. The NanoBCA is proud to have our member, NanoMech, as a recipient of these prestigious awards. Kudos to Jim Phillips and the NanoMech team! The NanoBusiness Commercialization Association is a 501(c)(3) non-profit organization, your contribution is tax-deductible. Our members value the monthly conference calls and annual event. These are the two major features of NanoBCA membership. 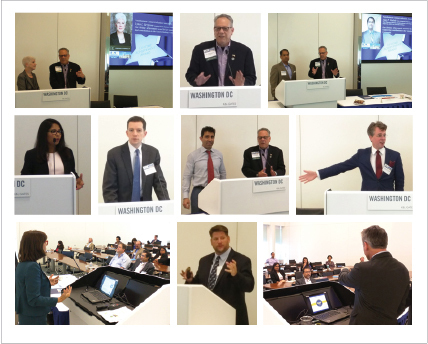 Our annual NanoBusiness Conference offers outstanding opportunities to connect with a diverse nanotechnology-related group of professionals in the heart of Washington DC. We hope you will be able to join us!